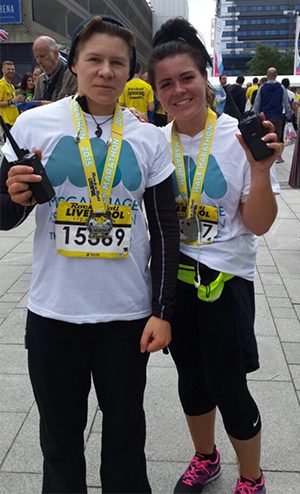 Decided to do Liverpool’s Rock and Roll Half Marathon in memory of our twin angel babies. My sister ran it alongside me encouraging me every step of the way. I didn’t deal with the loss very well. Nothing anyone says can help or nothing anyone does can change what’s happened so my way of dealing with it was to try and set a challenge and also raising money to help others who may experience this heartbreaking time.